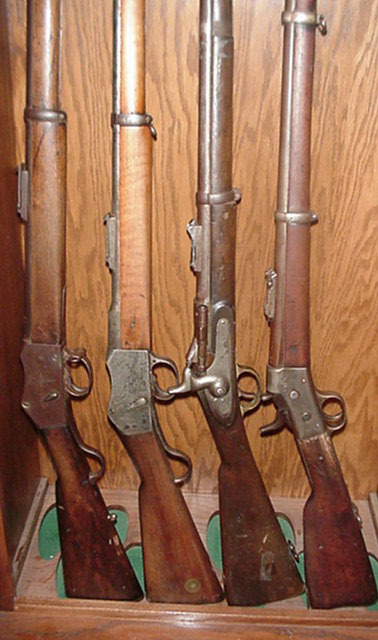 These four rifles are all antique non-US military rifles. 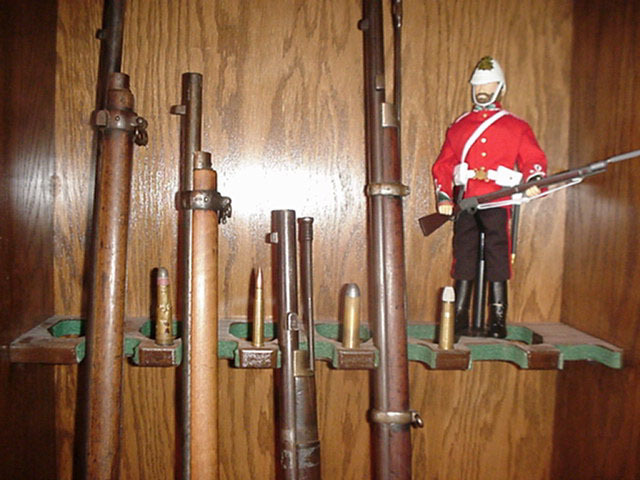 From left to right: 1883 Martini-Henry Mk III in cal 577-450; 1900 Martini-Enfield Mk II in cal 303; 1870 Snider Enfield Mk III in cal 577; 1870's Remington Egyptian Rolling Block in cal 43 Egyptian. Close up of the barrel ends. Each rifle is flanked by a cartridge that fits its chamber. 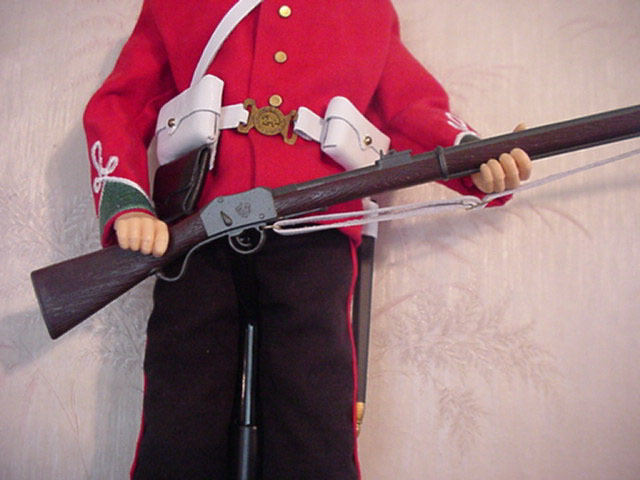 All are guarded by a soldier of the 24th Regiment of Foot. 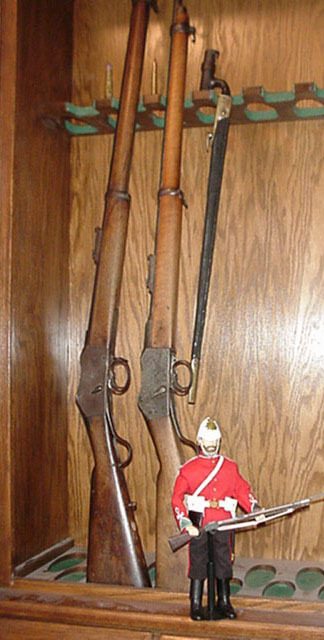 Close up of the rifles' actions. Just the two Martinis. The Martini-Enfield is a Martini-Henry converted from the big-bore black powder 577-450 cartridge to the smokeless "modern" 303. 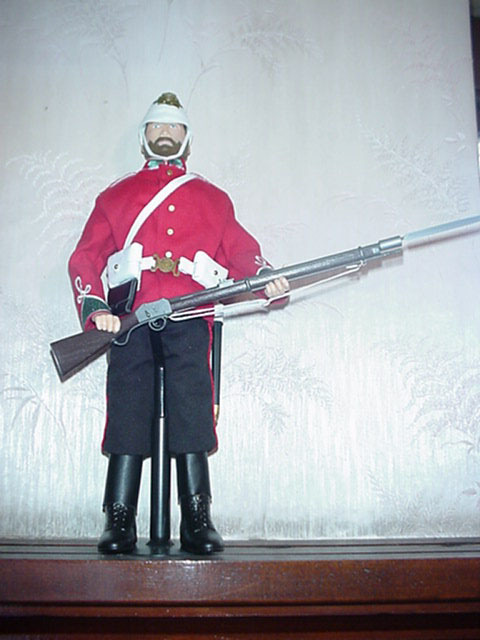 Closeups of the 24th Regiment of Foot soldier and his tiny Martini-Henry.